An established hardwood flooring business in Winterville, NC, Artisans Hardwood needed a website that would match the quality of their reputation. They wanted their new site to take advantage of modern design standards and aesthetics. They also wanted it to be mobile responsive, and wanted to be able to maintain it themselves after it was launched. 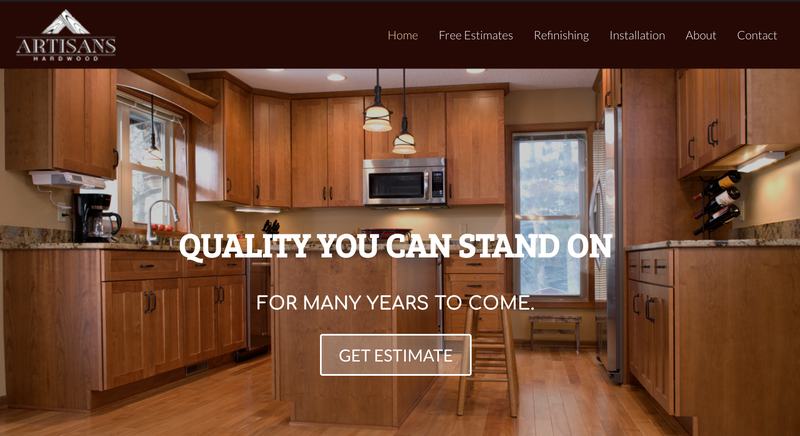 Finally, they wanted clients to be able to receive free estimates for their hardwood flooring through the site itself. Artisans Hardwoods will continue to grow as customers increasingly look to them as leading providers of hardwood flooring in Winterville and surrounding areas. The greater Greenville, NC area is set to potentially double in population over the next 10 years, so digital marketing is key to expanding their business. We’ve helped them along that journey by building a robust website they can use as a centerpiece in their marketing efforts.